Highway 330 to Big Bear, damaged during winter storms, reopened Monday afternoon allowing limited one-way commuter traffic during specific times. Divers headed down the mountain from Running Springs will be able to use the highway from 6 a.m. to 8 a.m. Monday through Friday. Commuters headed up the mountain from Highland Avenue can access the road from 4 p.m. to 6 p.m. The expensive commute around 330 has worn heavy on Running Springs resident Karen Olivarria and her family. "We're driving all the way down the 18 and when you live in Running Springs, Big Bear, or Green Valley Lake this is the only way you can go," Oliveria said. Crews have worked 24 hours a day to install large pipes to help with future rain and run-off along with additional retaining walls to reinforce hillsides. "There's three major areas and we've had a recent slip-out area up toward the top in the last storm. 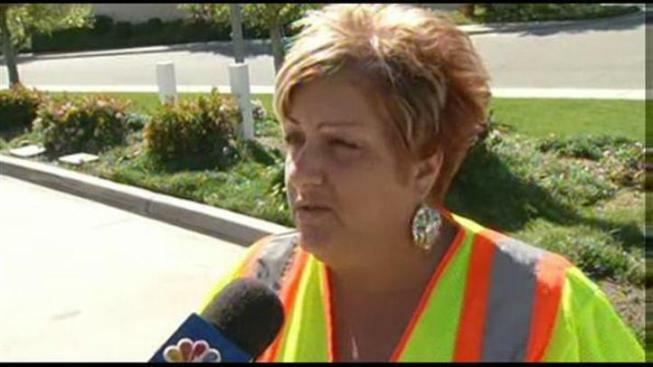 It's not a big concern but that's another area we will be repairing," said CalTrans worker Terri Kasinga. CalTrans is advising that motorists use extreme caution while driving through construction areas since heavy construction vehicles are still working. The agency also recommended that motorists still use alternate routes SR-18 and SR-38 until construction is complete. The highway north of Highland Avenue was severely damaged by a storm in late December 2010 which lead to its closure. The route is one of the main arteries to the San Bernardino Mountain communities and had a devastating impact on local businesses. More information is available on CalTrans website.